R407C/R410A/R134A Screw Air Cooled Water Chiller with a large range Model from AW150 to AW1180. 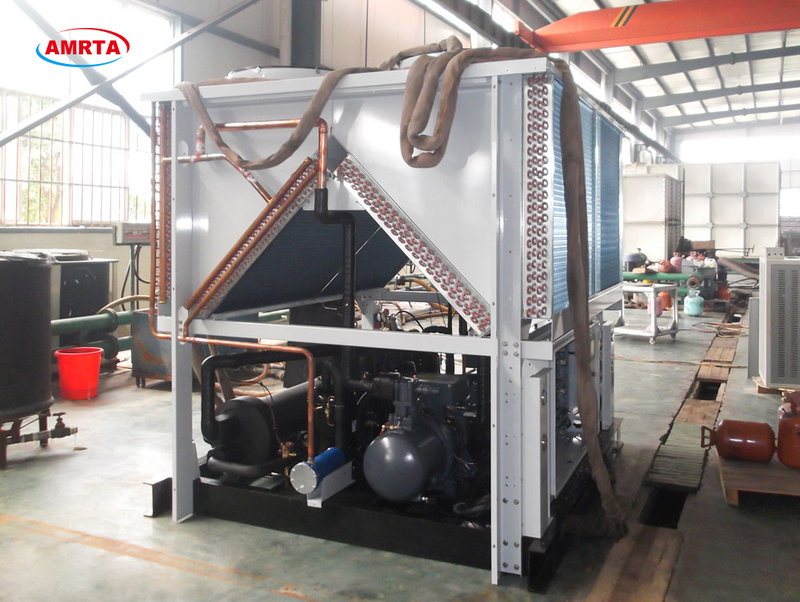 Air-cooled water chiller and heat pump unit is integrity structure with modular structure design, condenser upside-down M layout. 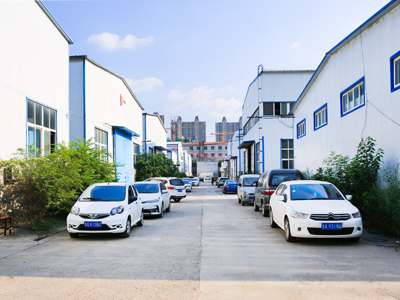 The compressor, dry type evaporator, receiver (gas-liquid separator in heat pump), cooling pipes and accessories arrange on steel foundation uniform. 01.The compressor. The Air cooled screw chiller is equipped with semi-hermetic screw compressor, compared with the piston compressor, semi-hermetic screw compressor has two advantages: Less parts(About 1/3 of the piston compressor), simple structure, less wearing parts, high reliability and long life.. Compressor suction and exhaust uniform, exhaust temperature is low, vibration is small, not sensitive to wet compression, anti-liquid strike ability. 02.Tube-fin air-cooled condenser. 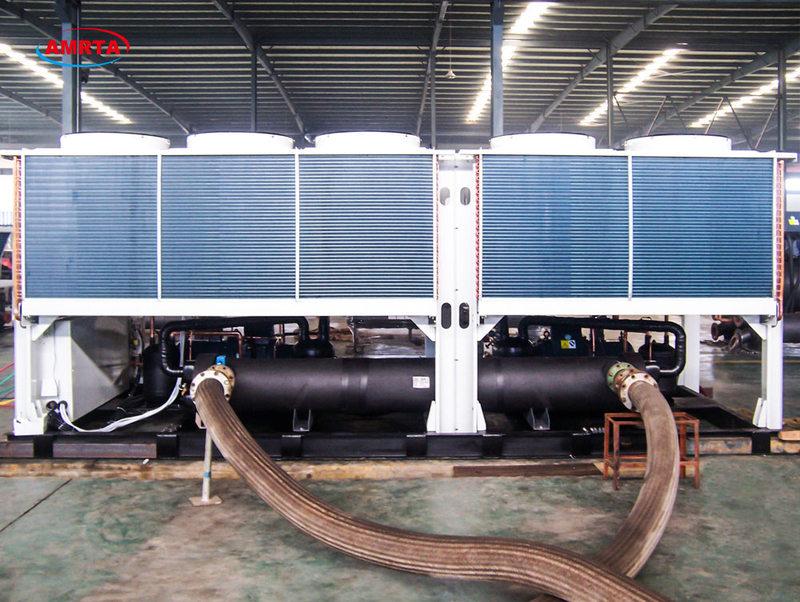 The tube-fin air-cooled condenser adopts the inverted "V" type layout, on the one hand, it improves the space utilization ratio, increases the heat exchange area, on the other hand, it improves the airflow and heat transfer efficiency, so that improve the unit's cooling and heating capacity. 03.Throttling equipment. For expansion valve, we select the most advanced products, with a compact overall design, rugged stainless steel diaphragm, and in a wide range of operating conditions to provide stable and accurate control. 04.Tube-shell evaporator. Using shell and tube structure, the outside is proceeded with fire-retardant,waterproof insulation materials, water side of the working pressure is 1.0MPa. Evaporator with PVC plastic water board, corrosion resistance. Chilled water along the diaphragm up and down circuitous flow, in order to increase the spoiler effect to improve the evaporator heat transfer capacity. 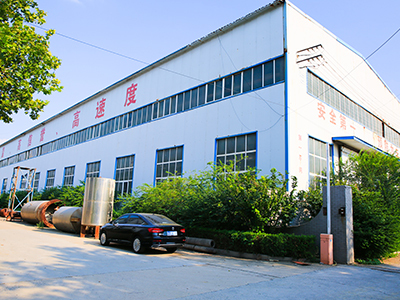 Using the latest DAC corrugated spiral high efficiency heat transfer tubes, strengthen the fluorine side heat transfer capacity, improve the heat transfer coefficient to ensure that the unit good refrigeration and heating performance. 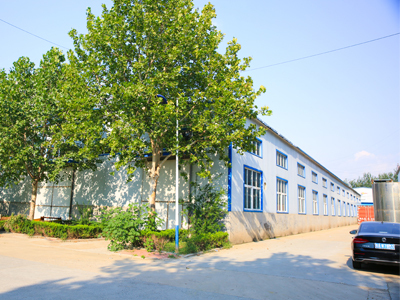 anti-interference ability to ensure that the unit safe, reliable and economical operation. 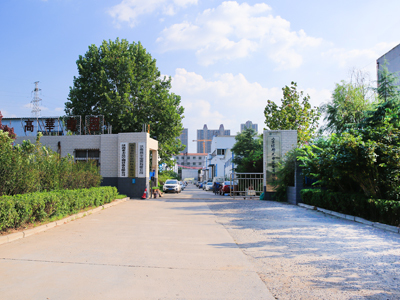 Energy regulation automatic control can make the unit always in the best economic mode point efficient operation. Protection function complete unit with overload, short circuit protection, frost protection, high and low voltage protection, overheating protection and other functions. Cooling: ambient air temperature 35ºC; evaporator water in/out temperature 12/7ºC. Heating: ambient air temperature DB 7ºC, WB 6ºC; condenser water in/out temperature 40/45ºC. ** Sound pressure measured at a distance of 1 m and a height of 1.5 m above the ground in a clear field.